Armourcoat created a ‘quiet zone’ on their stand at the Surface Design Show in February to highlight the benefits of their acoustic plaster system. 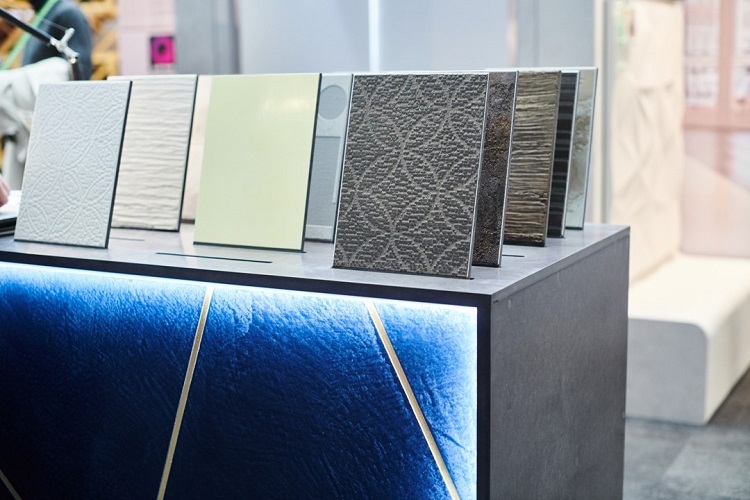 The company also featured among the main stage speakers and presentation to the 2019 Surface Design Award winners. 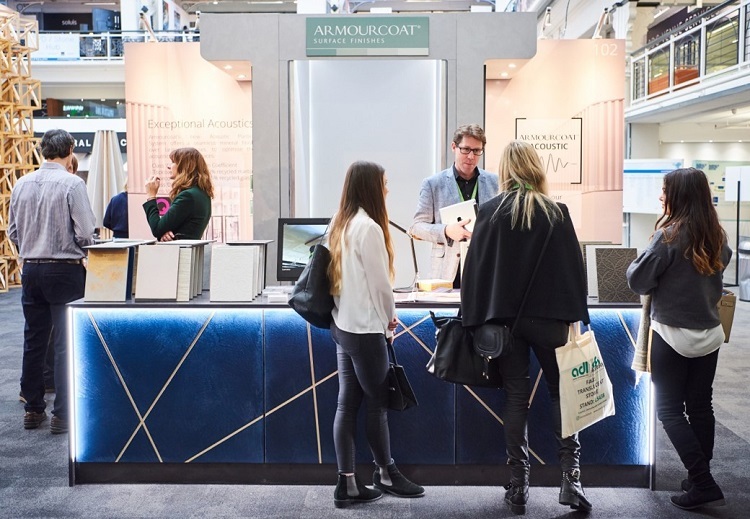 The Surface Design Show, held at Islington’s Business Design Centre, is a must-attend annual trade event to source products, gain new insights and connect with innovative and exciting materials such as Armourcoat Acoustic. The system comprises of a special mineral wool composite panel that is bonded onto the substrate and finished with a seamless layer, presenting an elegant marble-based plaster finish while allowing sound energy to pass through the surface. The Armourcoat stand focused on creating a ‘quiet zone’ at the show using the new acoustic plaster system recently granted the Quiet Mark Award – the international mark of approval from the Noise Abatement Society Charitable Foundation. Through its pioneering acoustic tests, Quiet Mark awards its distinctive Purple Q Mark to products and services that show excellence in low-noise and high performance. Poppy Szkiler, founder and managing director of Quiet Mark shared seasoned insights as a thirdgeneration noise reduction campaigner on the main stage, discussing acoustic solutions for a noisy world. Armourcoat were also delighted to support the 2019 Surface Design Awards, sponsoring the ‘Sustainability’ categories.